There is no aquascape without decorative materials. Stones and driftwood are commonly called "hardscape". This name applies to all the materials in an aquarium that do not change their form when submersed. Nice pieces of driftwood and rocks are essential for an aquascape. Without them, it would be very hard to make a natural-looking layout. 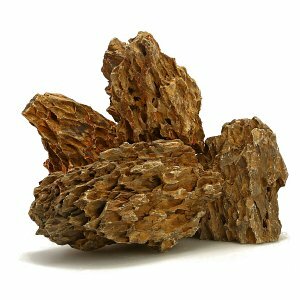 Driftwood comes in very different shapes and colors and offers the aquascaper much leeway for layouting, and there are so many different rocks that help you create the perfect aquascape. The hardscape forms the basis, or the framework, for the plants, which are planted later on in the creating process, and as a rule it should never be under-dimensioned to prevent the growing plants from totally covering it later on. There are rocks that influence water hardness, and there are rocks that don't. Carbonate rocks potentially harden the water. 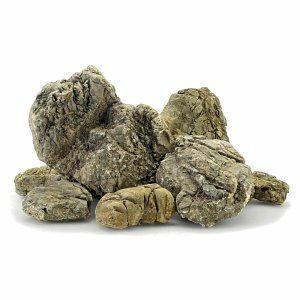 The more texture such a rock has, the higher is its influence on the carbonate hardness and the total hardness of the water. Ryuoh or Seiryu stones, also called mini landscape, have a relatively strong influence. You can tackle this problem with relatively large water changes and active soil substrates. Then there's no need to be worried about possible negative influences for your aquascape. Godzilla stone (also known as Seegebirge) and Black Pagoda do not harden the water significantly. Ohko stones (also called Dragon stones) are entirely neutral, as are lava rocks. Manten, Unzan and Koke stones by ADA (Aqua Design Amano) do not influence the water hardness either. Driftwood like mangrove, river wood, Talawa Wood, moorwood, Mekong wood or red moorwood do not influence the water hardness negatively either, however, they may give off tannins and humins to the water. These substances may give the water a slight brownish to amber stain. Depending on the amount of wood in the tank, this effect may last a longer or shorter time. You can use Seachem Purigen to remove that stain from the water. However, some aquarium animals even prefer a water with such a slightly brownish tint, as it is rich in tannins and humins. For an aquascape, in which you want optimal plant growth, such a brownish tint would have a somewhat negative effect. In our shop, all the pieces of driftwood are photographed and sorted according to size, so every aquascaper can find the piece of driftwood that's just right for their design. 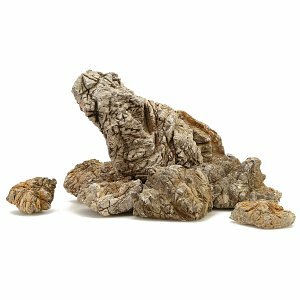 Red moorwood, moorwood, mangrove, Talawa wood, river wood or other kinds of driftwood: We have just the piece you've been wanting for your layout. 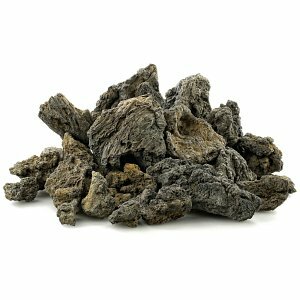 You should always have a well-balanced number of stones in your aquascape. Iwagumi layouts are very popular. These aquascapes are based on the stone compositions of a Japanese garden. The stones are placed according to fixed rules. You always use an uneven number of stones, with a main stone surrounded by smaller pieces. The stones in such a layout remind the onlooker of mountains and large rock formations. While in aquascaping the term "softscape" is used for soft design materials such as aquarium plants, "hardscape" encompasses all hard decorative objects. 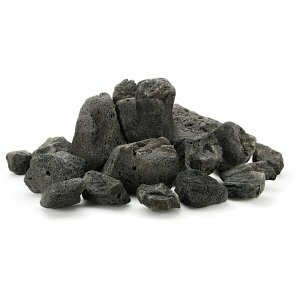 These include various types of stones that can be used in the aquarium, as well as driftwood. With stones and driftwood, aquariums can be set up resembling nature as closely as possible, they offer the aquarium's inhabitants sufficient hiding places and ensure a good composition in the aquarium. 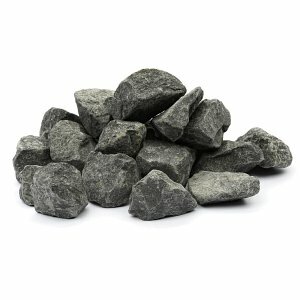 We have a wide range of different types of stone in our shop, which can be bought online by the kilo. Amongst others, you can buy all types of stone popular in aquascaping, such as miniature landscape (Seiryu), Dragon stones (Ohko), Frodo stones and the popular Manten- or Unzan Stones in various sizes by Aqua Design Amano. Especially stones with interesting, fissured structure and grain are ideal for designs imitating Japanese rock gardens, called Iwagumi in specialist's lingo. Categorically, you should differentiate between neutral, non-hardening stones and water-hardening stone types. The latter contain amounts of lime and raise, especially if a CO2 system is used, total hardness, carbonate hardness and the pH value. You want to set up your aquarium and don't know how many stones you need? No problem, our guide Choosing your hardscape by weight will help you find a decision. In our shop we offer aquarium drift- or other woods as individual pieces, which are photographed and put online individually. This ensures you receiving exactly the unique piece you saw in the product photo. Since all driftwoods are different and unique, you can also prepare your aquarium project online in this way. Many common and popular types of wood such as Moorwood, Red Moor Wood and Mangrove, but also varieties popular in aquascaping such as Talawa, Mekong and Dark Iron are available in our webshop. Depending on the type of wood, the roots can be rather filigree and heavily branched or compact and bulky with deep grains. Also available in the Aquasabi Shop are the relatively new Bonsai Trees. These are bonsai tree imitations crafted from wood that can be greened beautifully with moss or other aquatic plants. Especially during the cycling phase right after setup, driftwood may tint the aquarium water brown due to the humic acids contained in them. Also, bacterial coats may form on the surface o the driftwood, depending on the type of wood used. How to deal with those problems and more tips and tricks can be found in our article Preparing driftwood. 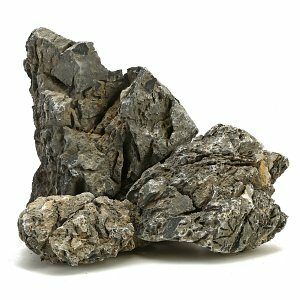 An exact overview of our hardscape varieties of stones and driftwoods can be found in the corresponding article over at our Aquascaping Wiki.